We are members of one Diocesan family accompanying each other on the same journey of renewal. As we move forward together we have the opportunity not only to develop our own partnerships but to contribute ideas and approaches that might be helpful to those in other areas too. This section contains various ideas and approaches that we get to hear about from partnerships. However, we can only get to hear about them if you tell us, so please provide us with anything you feel might be suitable. Blackfriars Spirituality Group asked Opengate, a charity who works with women from Low Newton Prison during and after release, to come up with an event for Blackfriars Partnership to be held at St. Robert’s on Thursday 7 March. 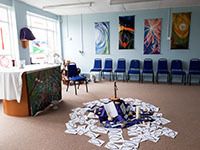 On Saturday 16 March, 32 people from some of the parishes across the partnership gathered for a day of prayer and reflection at St. Cuthbert’s Primary School, Kenton. The day offered an opportunity to explore Pope Francis' document 'Rejoice and Be Glad', which is an invitation to explore our call to holiness. The day was led by Sr. Sheila McNamara RSCJ and Chris Smith. In the opening liturgy a candle was lit for each parish in the partnership and everyone in the partnership was held in prayer throughout the day. 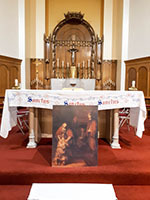 On Sunday 17 March, Jesmond St. Mary's Partnership held a Liturgy of Mercy Service at St. Teresa's of the Infant Jesus church in Heaton. It was a service adapted from the Year of Mercy service and titled 'Celebrating God's Mercy'. The service was led by the chair of the partnership Julia Firbank. Readers from various parishes within the partnership read passages from the scripture. One year on from the establishment of the 18 Partnerships in our Diocese, it was felt to be timely to provide every Partnership with the opportunity to review the year. Each Partnership completed a short review and the responses make for a very rich source of information about what is going well and what are the main challenges going forward. 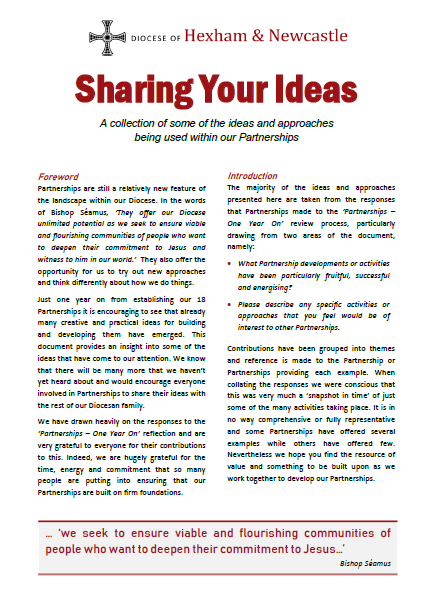 A document has been produced as a compilation of the ideas and approaches that Partnerships offered in their responses. Entitled ‘Sharing your Ideas’, it is available here (pdf - word). During our Forward Together in Hope journey we gathered from Parish Questionnaires some of the many ideas and activities that were put forward as examples that might be of interest to others. These were collated and published in June 2016 as a 20-page booklet under the title ‘Some Food for Thought’. It is made available again here (pdf - word) as a reminder of the approach and a resources that can be dipped into.